L ight , Healthy and still yumm ..Quite a one pot meal! Tats all tat I can call this recipe.. Its full of my fav flavour.. with just the right ingredients..
My friends mum used to make this for his lunch box.. at college.. More than 6 yrs up .. and one fine day I managed to get in touch with this friend of mine.. who used to call this a Macroni pasta.. We used to wait all those 4 years whenever he would get this for lunch and we wud attack it right then. My first introduction to Pasta…when was urs??? I have given this borrowed recipe a twist with the available ingredients..
Cook Pasta of your choice in enough water with few drops of olive oil and a pinch of salt. I have chosen Penne.. Once done , drain the water through a colander and run it under tap water. I have used Red Onions , thinlysliced carrots ,green peas , black olives and diced green peppers to make my bowl of veggies. Heat 2 tsp of oil in a pan , drop in chopped garlic . Once it gets fried , add in chillie flakes and the veggie bowl. Saute them for about 2 min . Make sure veggies are still crunchy. Drop in ajinomotto and sprinkle the required salt. Now mix together the cooked pasta and saute for another a min. Sprinkle the basil and serve it hot. Alternatively prepare by adding garlic, dried red chillies and rock salt in the blender and give it blend. Add them to the olive oil , once done drop in the veggies and saute them with a pinch of ajino motto.Mix together the cooked pasta , saute for a min , garnish with basil and serve hot. The perfect recipe for a quick, delicious n a light meal!!! Hey Sandhya, mine was much later sometime in my late twenties…I remember eating pasta in Pizza Hut Dubai! Ever since, i have made all types of macroni pastas at home for Niki trying my tweaked flavours…poor child had to have them all. Off late I have not made much, yours tempts me to try this on dear husband! Wat an eyecatching clicks, very tempting dish..
yum yummmmmmmmy mouth watering and tempting pasta. beautiful presentation…wow..amazing…lovely one pot meal…. Thank god for easy dishes like this, life is so much more easier rt? i love pasta in any form and its something i have at hand all the time. Love the simplicity of the dish and looks awesome,nice capture sandhya! 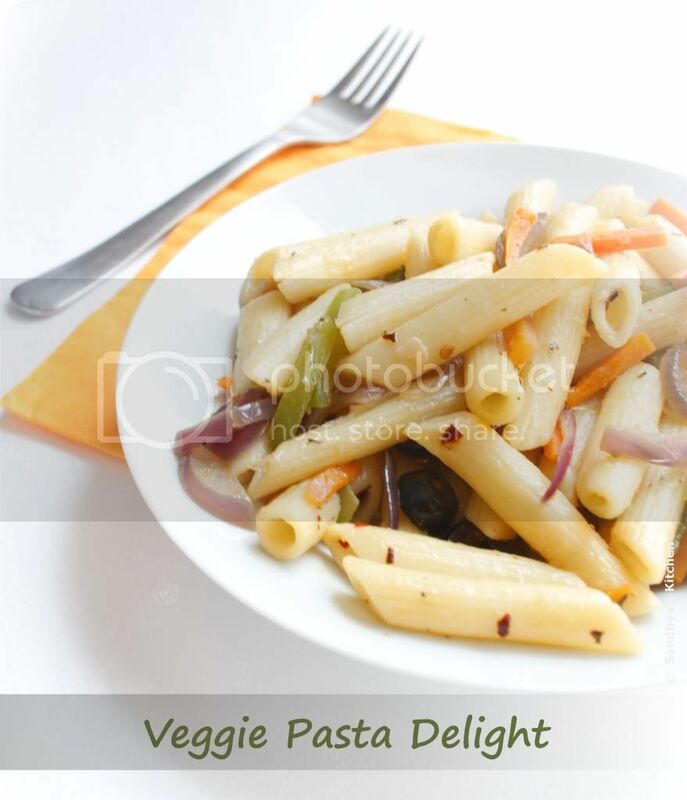 vegie pasta luks delicious,wounderfull clicks sandhya. thank u for ur comments! I had a number of clicks.. under direct sunlight.. the ones inside with a white board showed it off better. I m sure Niki must b enjoying her new flavours..
My lil one is on pasta since 1 yr old.. He occasionally likes them .. and occasionally dislikes..
its all in the mood. love one pot meals like this. never added ajinomoto to Pasta. looks very comforting. Beautiful clicks..love one pot meals n this looks awesome, simple n so flavorful! 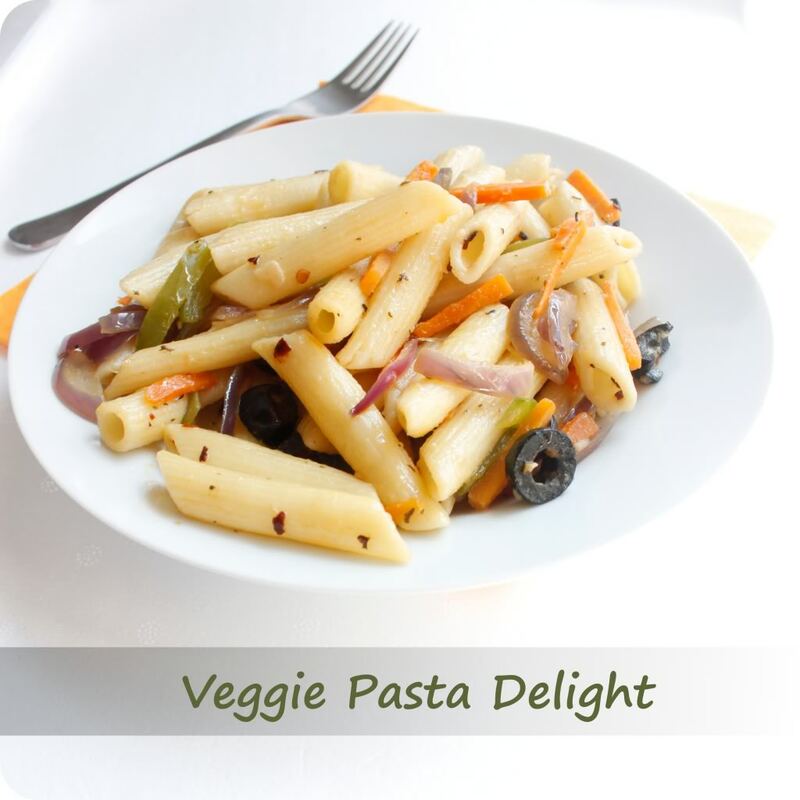 Simple and filling pasta veggie delight…. Looks so yummy …… love the clicks too. A delicious quick meal! I love it. awesome pasta Looks so scrumptious. Quick and a tasty recipe for sure. thanks for dropping by and welcum to my blog santhosh! Will definitely check on ur space. healthy and yummy one pot meal…so good!!! Hi Sandhya, first time here. Loved your veggie pasta. Looking for some pasta dishes recently. Do visit my blog when time permits. Happy to follow you. I love going thru' recipe blogs, enjoy the presentation one makes and yes, we can bring small changes in the recipes which we are used to regularly. all the best. thank u pushpa.. it means a lot to me! thank u chithra for posting such a lovely comment.. u have made my day! Hope Veggie Pasta lived upto ur expectation.. This is perfect for me. I am starting to be vegan right now and this is a big help.